Today we joined the CBBC Field Trip for a visit to the Mar Menor area. The group was gathered at the car park at San Pedro del Pinatar where our first birds were Redshank and Greenshank. Several Stonechats, Black Redstarts and Chiffchaff were around and a few Sanderling were on the beach. We drove back across the Salinas to park by the visitor centre, seeing a raft of Black necked Grebe and a group of Avocet on the way. We all walked back to the small bridge over the water channel which held Little Egret, Mallard, Moorhen, Common Sandpiper, Ruff, Grey Wagtail, Chiffchaff and, for some lucky people, a Bluethroat showed briefly. Back at the visitor centre the pools held a few ducks, a single Black winged Stilt and a Green Sandpiper. A few small birds, mostly Serins were in the trees. Our next stop was a El Mojon where the water channel held Common Sandpiper and Redshank, and a Stonechat and Goldfinches were seen in the scrubby area. Next we relocated down the coast to Cabo de Palos where Malcolm had heard about a rarity being seen. 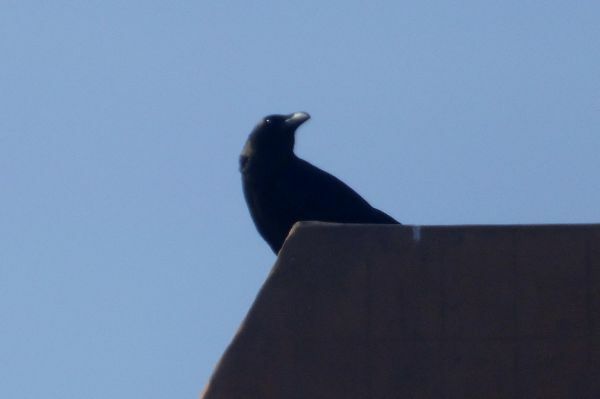 We had not been there long before the bird, a Brown necked Raven, appeared. Brilliant! 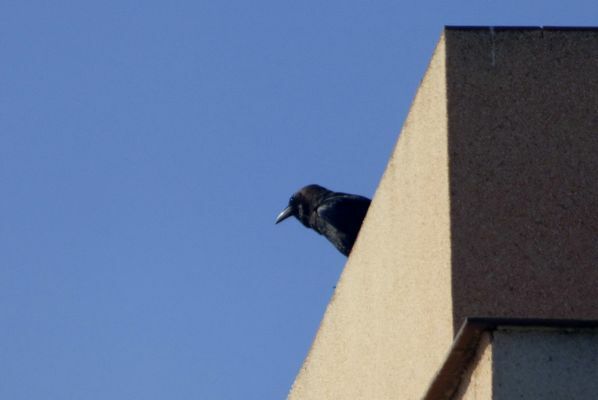 It flew over us and landed on a nearby building giving everyone a chance to see and hear the bird which is normally seen in Morrocco. When the group left to head off for lunch, we remained at the Cabo to eat our picnic and finished off with a drink at a café by the harbour before heading back North. On our way home we had a brief stop at Palos Salinas where we saw a few Kentish Plover, and at Lo Monte where we saw various ducks, including Pochard and Red Crested Pochard plus a Marsh Harrier and a Snipe. John saw another Bluethroat, the second one I had missed today! Species list – Little Grebe, Black necked Grebe, Cormorant, Little Egret, Cattle Egret, Grey Heron, Greater Flamingo, Shelduck, Mallard, Shoveler, Teal, Pochard, Red crested Pochard, Marsh Harrier, Kestrel, Coot, Moorhen, Black winged Stilt, Avocet, Kentish Plover, Little Stint, Common Sandpiper, Green Sandpiper, Redshank, Greenshank, Ruff, Snipe, Yellow legged Gull, Slender billed Gull, Rock Dove, Crested Lark, Crag Martin, White Wagtail, Grey Wagtail, Robin, Black Redstart, Stonechat, Blackbird, Cetti’s Warbler (HO), Chiffchaff, Sardinian Warbler, Southern Grey Shrike, Spotless Starling, Brown necked Raven, House Sparrow, Chaffinch, Greenfinch, Serin, Goldfinch, Linnet.